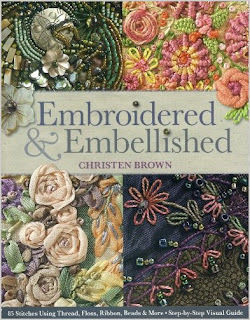 Embroidered & Embellished by Christen Brown became available from C&T Publishing on July 1 of this year. It is a stunning book and will be especially helpful to anyone who wants to learn to embroider in different styles and who likes to learn from step-by-step directions. The subtitle is 85 stitches using thread, floss, ribbon, beads & more, which shows you just how much information is packed into this book. Christen starts out with the stitching techniques and terminology. 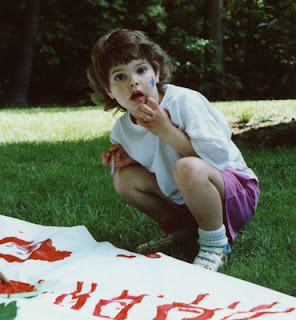 All the stitches in her book are considered "freehand" stitches, because they do not use a counted canvas or grid. That makes them perfect to add to your patchwork, quilts, mixed media collages, and other fiber arts. She then turns to the process of choosing foundational fabrics and trims, embroidery threads and ribbons; beads and similar embellishments like buttons, sequins, charms, and shisha mirrors. 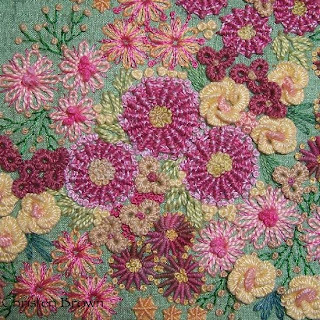 The main bulk of the book contains four sections of stitches and projects: traditional embroidery, silk ribbon embroidery, raised and textured embroidery, and bead embroidery. Finishing and framing your pieces is included near the end for those who are interested in doing completed embroidery projects rather than adding these stitches as embellishments to other fiber works.